and get to know what our city has to offer. Situaded in a privileged area of the city, few meters from Ponta negra beach, Atol das rocas has all the infrastructure you need and deserve. 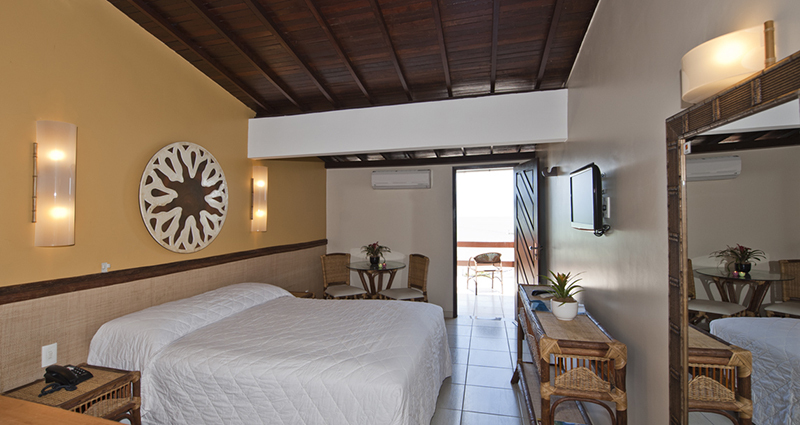 Nearby the famous Ponta negra beach, and all the entertainment it has to offer in gastronomy, bars, clubs, craftwork, malls and conventions Center, Atol das rocas is ready to provide convenience and confort. Here, our guests will experience a welcoming stay with all the beauty and services needed to enjoy the most of your time in the beautiful city of sun. Be a reference company in the hospitality sector, having the differential on the treatment. We have apartments in various formats in two categorys: Luxury and Superior luxury, that accomodates couples in honeymoon, familys of 4, non smoking and people with special needs. Providing everyone confort with a beautiful sea view. Our packages are thoughtfully elaborated to provide the guests with days full of confort, beauty and with the advantage of an excellent price. Come spend your honeymoon in the Atol das rocas and live unforgettable moments! If it is for relaxing or having fun , our guests will have a leisure space where they can have a swim, enjoy the Sun and sea breeze and enjoy the view. The pool area is composed by an wide Green area with a lovely tropical garden , shower and the refreshing pool. Everything to enjoy the beautiful sunny days. Breakfast served in a pleasant place, poolside with a ocean view, with Buffet offering a variety of juices, tropical fruits, cakes, breads and ingredients from the region. We offer help with transfer, , buggy tour rides, camels, diving in clear Waters, boatrides, ecoturism, adventure tourism and rent cars. Always with the quality of established companies and the hospitality of a happy and captivating people. To contact us, fill the form below.